SOLD!! 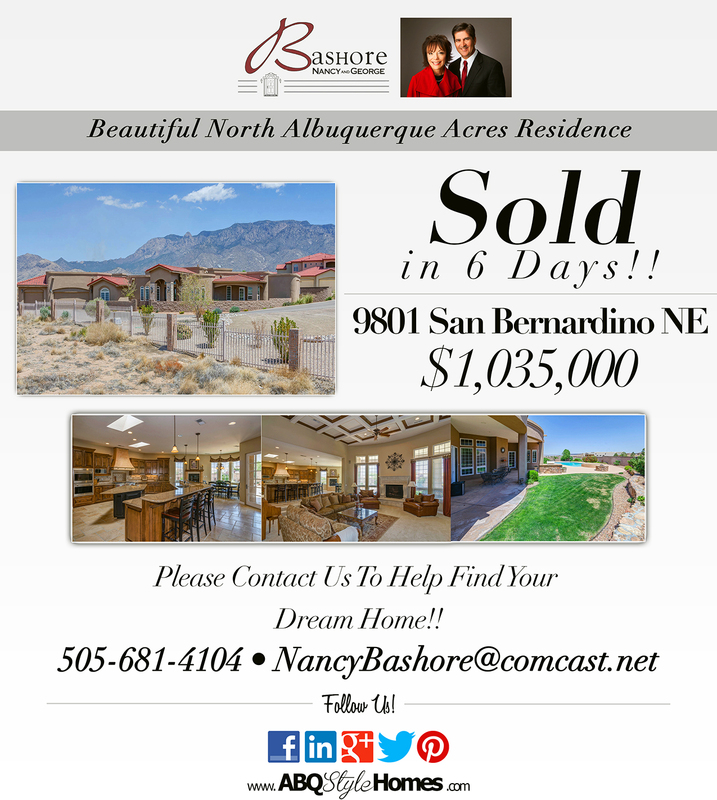 Nancy & George proudly listed and brought the buyer for this beautiful North Albuquerque Acres residence! !